Available as airframe only, or full combo. 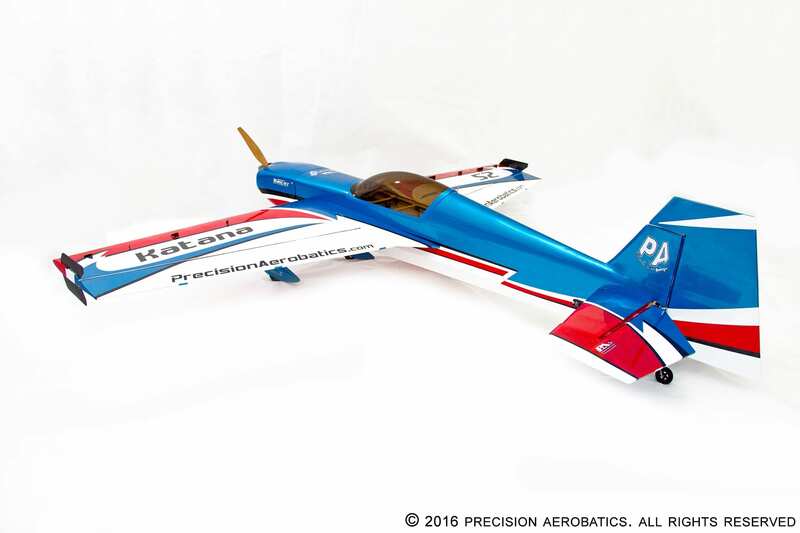 We are proud to present a whole new flying experience to you, based on our most recognized PA aircraft, the legendary Katana. The Katana 52 is simply a work of art. The intricate design was carefully developed over several years to reach the highest standard in aircraft design and performance, together with a new and efficient iPAs power setup, and two striking color schemes designed by Malcolm Stiles, our very own scheme designer. 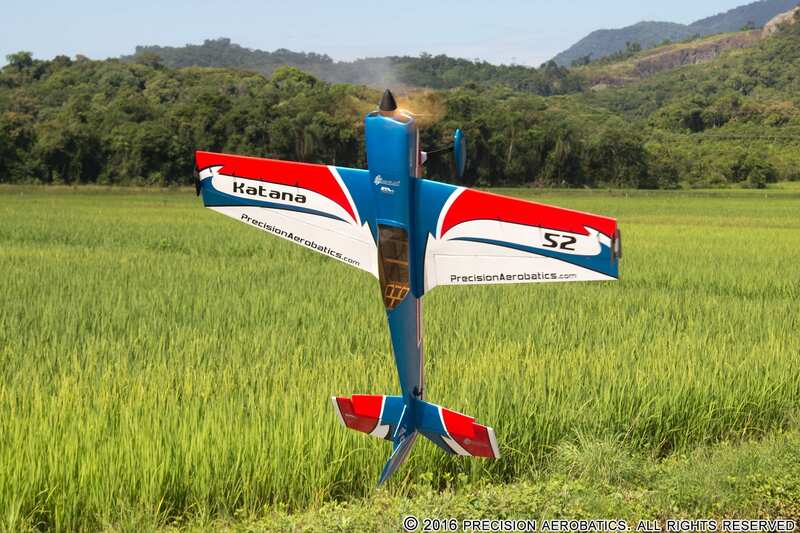 The Katana was designed by Shaun Vanunu, the man who delivered the most amazing electric-powered model aircraft available on the market today. Shaun is Precision Aerobatics’ chief engineer and co-owner. The man behind PA’s unique construction technique called FiberFusion®, which was first implemented in 2006. FiberFusion® is a sophisticated engineering and construction method, developed and enhanced over the past ten years by Shaun and his team. 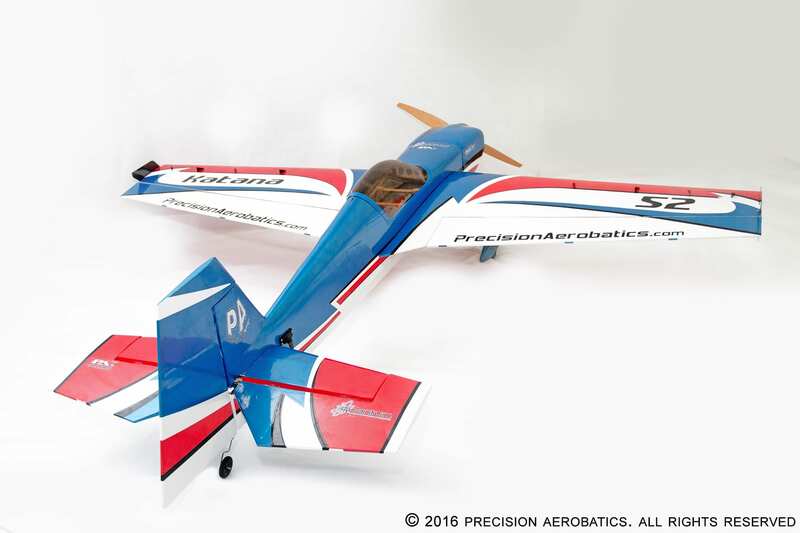 FiberFusion® uses 100% real carbon fiber, along with competition grade balsa/ply, utilizing carbon fiber where it really matters. Each variance of fiber used in the plane is carefully selected and utilized in a unique way, resulting in a much lighter – yet stronger and more rigid aircraft, that will fly like nothing else! Shaun’s fresh approach to the Katana 52 design brings added benefits even to those who already own each of PA’s previous models, as the Katana 52’s flight envelope is like no other PA plane: combining the ability to perform new maneuvers never seen before on a PA plane, yet capable of the amazing slow speed handling PA planes are renown for, and precision to boot. To reach these goals is not a minor undertaking – through hundreds of test flights we ensure you get the specific flight performance we envisioned in the design process. We invested endless efforts to test and retest in different climate conditions, adjusting the CG to get to the exact sweet spot and to guide you, so anyone can reach the peak performance this plane has to offer. We make sure our plane suits you, and your skill level. It’s all in the setup, and we cover it all thoroughly in the manual so the Katana 52 can be your sport plane, or your most advanced beast. There is a lot to say about the setup, but efficiency is the name of the game. 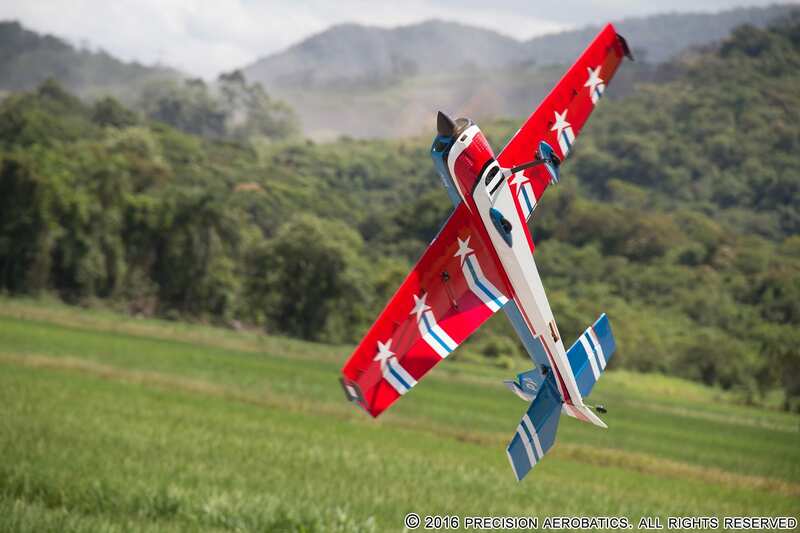 A lighter plane flies better … a lot better!!! 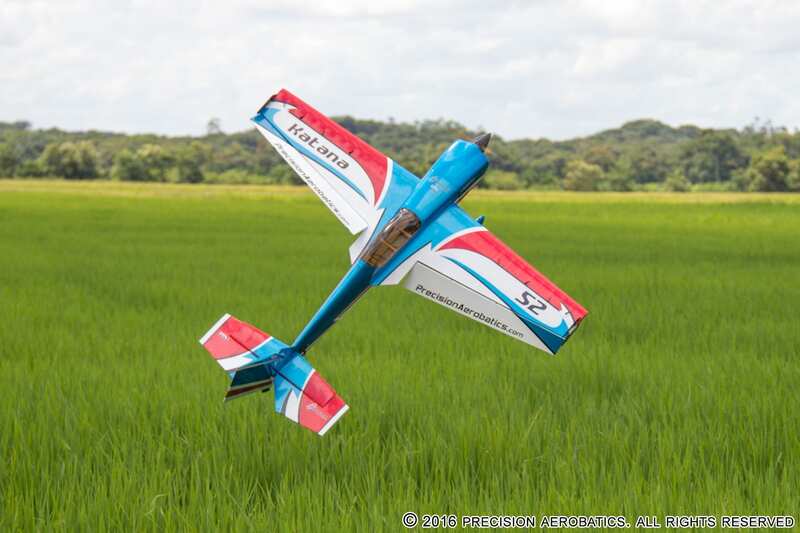 This is why our models traditionally feature the lowest wing loading on the market, by far! We have developed a particular motor for this plane, taking the powerful Thrust 45 and redesigning it with a rear mount, making it the first rear-mounted motor in the Thrust motors series, still equipped with RotorKool® technology for maximum efficiency. 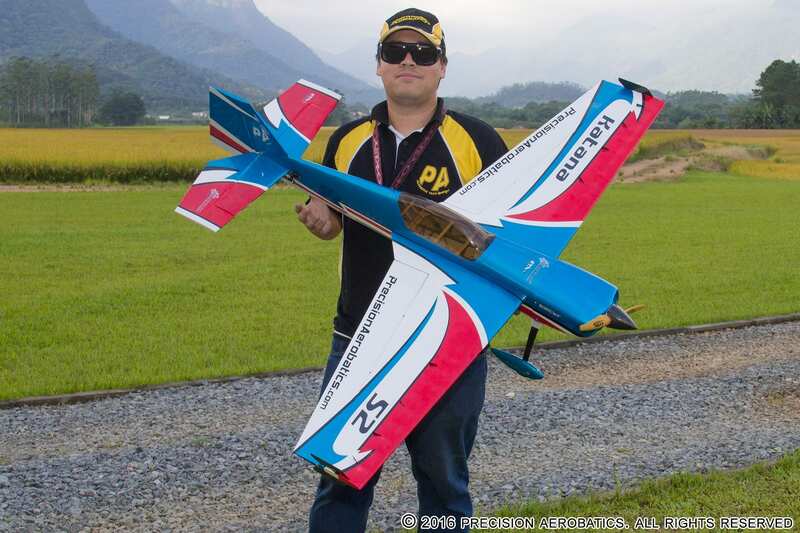 We complete the iPAs (Integrated Performance Airframe-drive System) setup with a PA Quantum 45 Pro ESC and a 14.8V 2600mAh pack, swinging a 13×6.5 wooden Vox propeller, and four NXT-80 digital metal gear servos. This iPAs package has proven to be the most powerful, yet most economical and reliable setup possible. Just compare both weight and cost to other 52″ setups available, and you’ll be amazed by the value of this package. This lightweight, yet extremely powerful setup, makes the Katana 52 very responsive, providing absolute control, extreme performance and predictability, so you are able to get out of the most difficult situations with ease. Best of all, you don’t even need to know how to select your ESC, motor, or battery. Or even need to learn how to program your ESC. Everything is done for you and all that is required is to just plug and play. With the iPAs package we have made it as easy as it gets to get it right the first time when it comes to electrics. Not only does the iPAs package make it easy to get it right, it will give you the identical setup (and potential performance) as our Team Pilots. “Torque rolls are very predictable and smooth, requiring very little control corrections. This means you’ll be able to impress all your buddies with the rudder merely inches above the ground without having to be a pro. Knife edge is simply out of this world stable, with ZERO coupling, making it easy to execute sick knife edge dead slides, tight knife edge loops, and jaw dropping high speed knife edge passes and circuits. 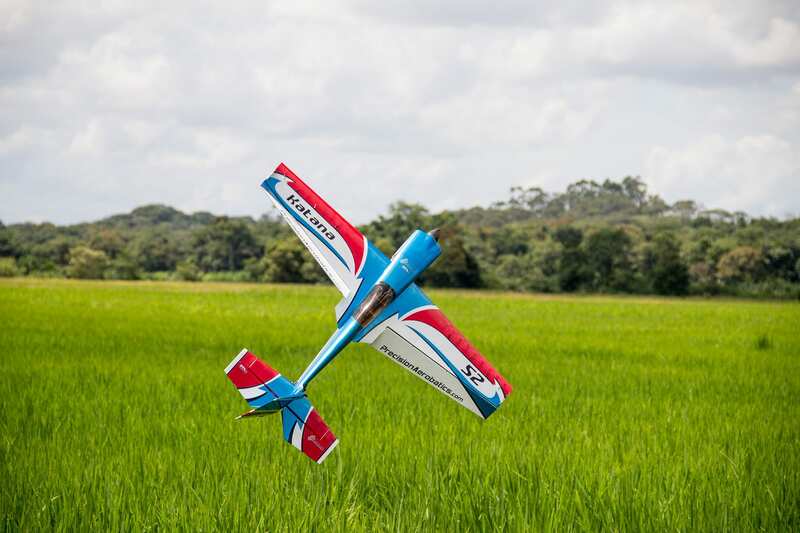 Rolling harriers require very little control input and effort, roll rate has been increased allowing for higher energy flying and faster combinations and stops, which allows very impressive rolling loops in slow 3D and fast speed flight. 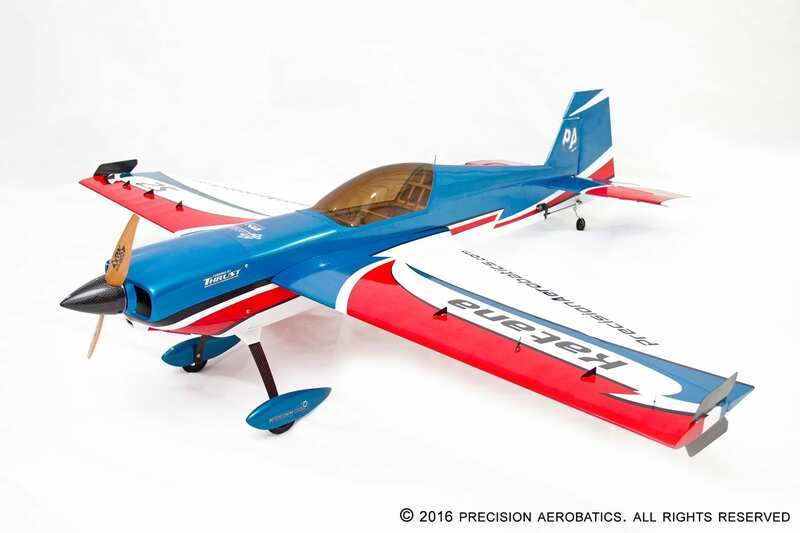 Jaw dropping high energy tumbles and precision flight are simply easy to perform, at slow or full speed. Blenders and tumbles stop immediately as the plane is so responsive. It harriers exceptionally well in both upright and inverted, with no wing rock. 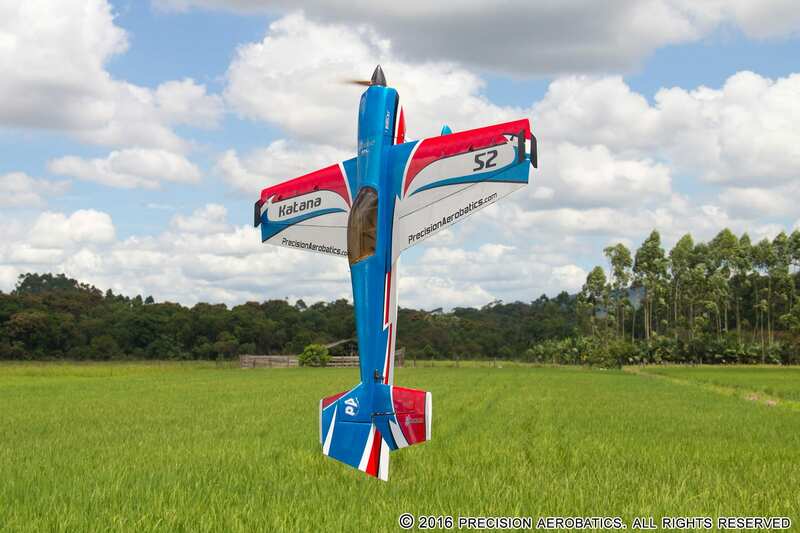 Knife edge spins are beautiful, and very easy to control the exits without a worry about it over-rotating. 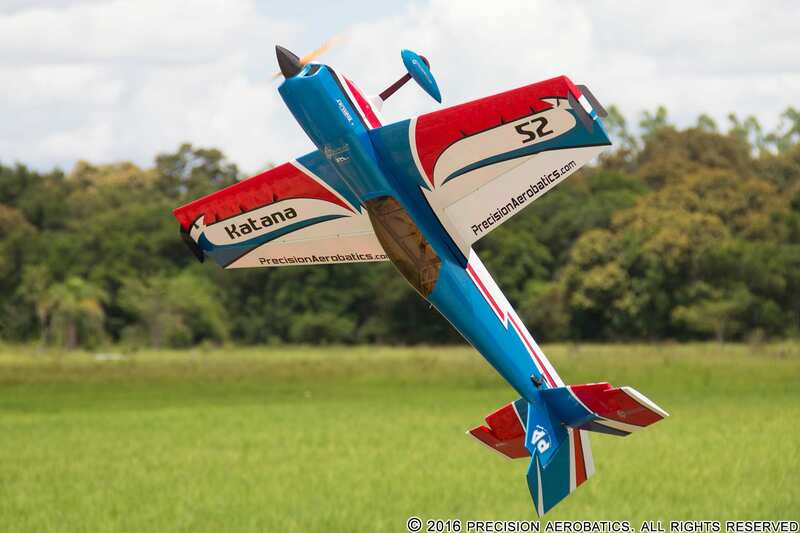 Apart from excellent high energy and 3D flight characteristics, the Katana 52 performs amazingly in the precision flying department, allowing you to mix 3D and precision, and widen the scope of aerobatic maneuvers that can be mastered and performed. It’s capable of the longest and most impressive slow rolls you can imagine, beautiful rolling circles, perfect point rolls, and amazing snap rolls that stop so fast that it feels like you are mentally connected with this airframe. The Katana 52 is pre-assembled by our skilled staff, each specifically trained in building models using our most advanced FiberFusion® construction techniques to date; using only the finest grade material, all cut by state-of-the-art laser and CNC machines. In order to attain uniform performance for each and every model manufactured, each plane is consistently crafted on highly sophisticated and accurate jigs. Further, each set of wings are individually matched to their fuselage and all receive matching serial numbers(something most factories don’t do even in giant scale production). We test-assemble each airframe before shipping and ensure precise wing incidence, alignment and fit. Two wing halves are removable, making it easily transportable for a model of this size. The wings are joined together with a carbon fiber wing tube and carbon fiber sleeve, that makes the Katana 52 a compact and durable aircraft. All flight surfaces are fully airfoiled, and the ailerons are already pre-hinged with the gaps sealed . 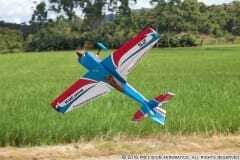 For maximum aerodynamics, the aileron design and construction in this model is exceptional, made in such a way that the hinge gap is completely sealed as part of the wing, similar to the full size high-performance aerobatic planes. This is indeed quite complex to produce: the ailerons fit into the wing trailing edge tunnels, being glued and aligned in the factory. Despite the laborious production of this design we insist on producing the ailerons this way, as it ensures perfect aerodynamic flow over the airfoil, resulting in maximum efficiency of the control surfaces. To us, it is the aerodynamic performance that counts most. Following PA tradition this model too gives the word QUALITY a whole new meaning. From the design through the construction, the hardware, level of finish, and the attention to detail are second to none. Our Katana 52 is a TRUE ARF, 99% built for you in our factory. 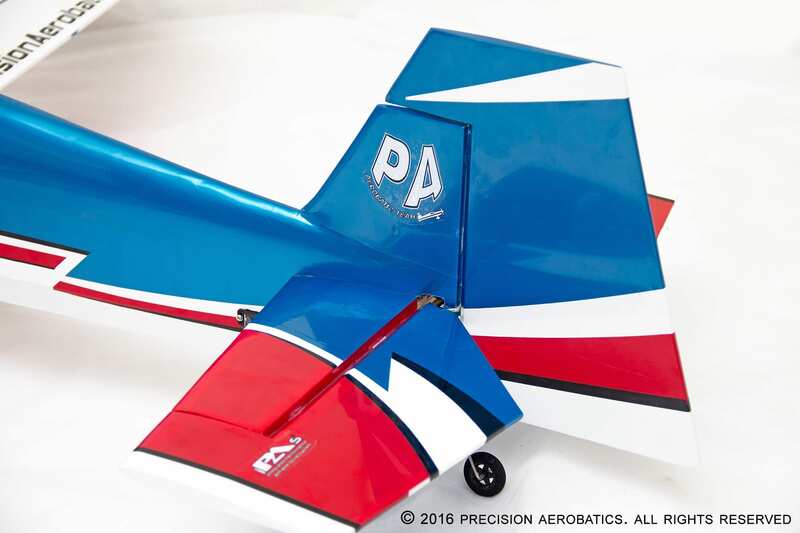 The brief assembly is a joy, and most modellers will have it setup in just a few evenings with the help of our online video build guide series, PA Builds. 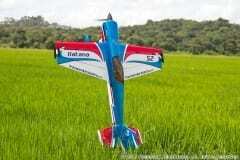 Flying weight (AUW including 2200mAh 4S battery & spinner): ~1410g / 49.73oz/3.11lb !!! • CNC machined precision prop adapter (We decided to include this adapter instead of common prop adapters usually bundled with motor accessories to avoid performance robbing, vibrations and motor mount structural damage). • CNC machined precision prop adapter. We decided to include this adapter instead of common prop adapters usually bundled with motor accessories to avoid performance robbing vibrations and motor mount structural damage. that people need to know about, thanks to you and Adad. konnte heute mal den ‘Jungfernflug’ mit eurer 52er Katana machen. Mit das Beste was ich je am Himmel hatte ! Top Verhalten in allen Situationen ! Keine Launen ! Der ganze Flieger is ‘just the sweet spot” ! BRAVO auch zur Qualität der Konstruktion ( … da sieht man, ‘daß einer weiß, was er tut’ …) !! Auch die Anleitung ist vorbildlich gemacht ! NOTHING IS BETTER THAN THE ORIGINAL ! Schön, daß es euch gibt ! Thanks! I finally got out to maiden the Katana 52 today. Michael, Daniel and all of PA, you guys are right on! PA you hit it out of the park with this airplane. All I needed was a couple clicks of down elevator and it really did fly like it was on rails. The guy standing next to me could not believe this was a first flight. Plenty of power and very stable. The first time I turned it into knife edge it just stayed locked in. Absolutely ZERO coupling. I did do a couple of snap rolls and they too were awesome. I did not attempt any low and slow 3D maneuvers but maybe further down the road as my skills improve. Landing was a non-event. Like most PA planes, kill the power and it just floated down. Just control your decent with the throttle. 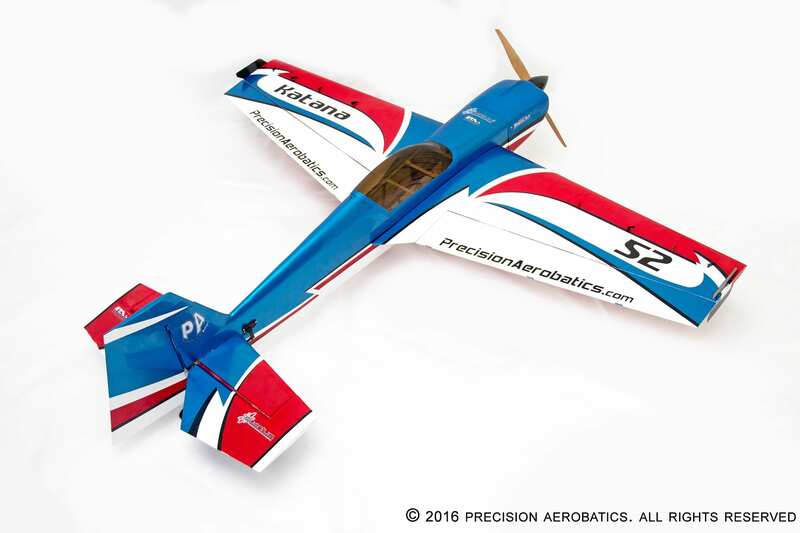 Although it is very early on with this plane, I would not hesitate to recommend it to anyone that has moved beyond basic skills. GET IT, you will not be disappointed. I hope this helps as I could not be more impressed as with the K-52. “what shall I say? I am totally thrilled!!! the Katana is by far the best plane I ever had only one click to have her flying straight. Simply super super good. She can be quick, she can be slow.. flies fully neutral and does what she needs to do. Rolls quicker than a lightning if you what and this totally straight. Climbs neutral up and down. I already did make 6 flights and cannot get enough of it… Landings are extremely easy..only 2 click of power and super soft landing. Flew mine on Friday, only got a few flights in before the weather ruined the late afternoon but man does that Katana 52 fly well. Loving my new K52. The roll rate on this thing is perfect! Fast enough for sharp rolls to opposite knife edge and quicker rolling harriers but not so fast as to make it twitchy. The spins are Insane! Pop tops, flat spins, crankshafts, just so perfect. Not so floaty that it’s hard to lose altitude yet still rock solid in a harrier. This plane struck the balance of everything so perfect. 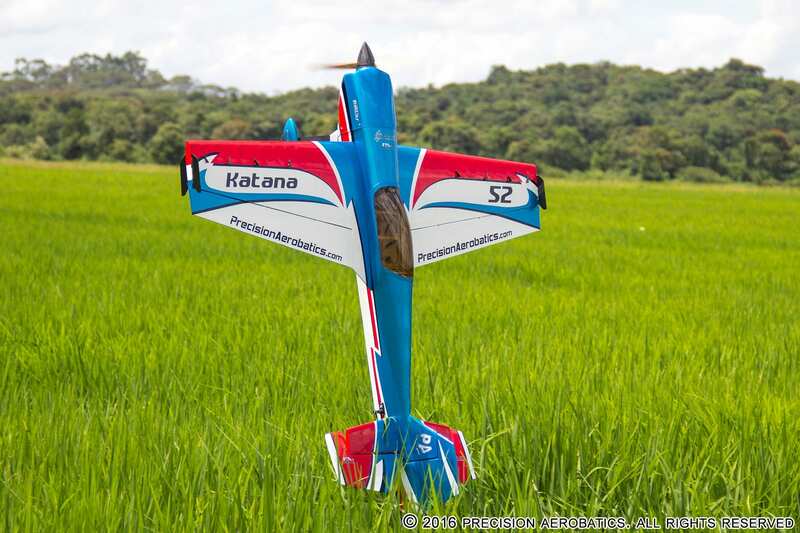 I now have about 40 flight on the Katana 52″ . I truly love it! What a great set up too . The 45R motor is the coolest running motor I have ever used . And the nxt 80 servos are exceptional servos. Altogether a 10.5 out of 10. This airplane can do it all. No bad habits at all . From blenders to knife edge rolls, super slow high alpha to fast and precise point rolls I love it. I hope you develop more R series motors for my larger airplanes as a replacement motor these rock too. Its the best electric plane i have flown! capable of everything from slow 3d to high energy tumbles and precision aerobatics, its my favorite plane that always goes with me to the field! Many non PA customers tried it at Joe Nall for the first time and LOVED it, all of them ended up buying one, it is that good! 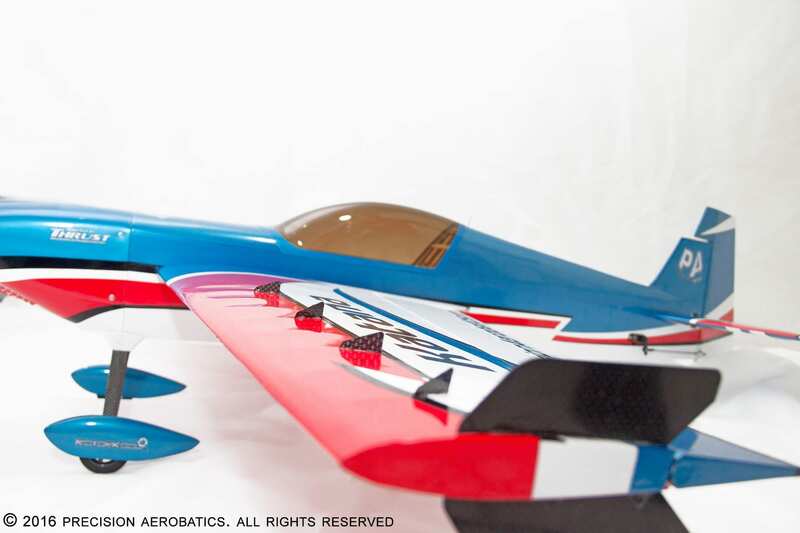 This plane has out flown any of the competitions planes that I have flown, I always recommend this aircraft to people who are looking for a plane in the 48-52″ range, This plane is the best PA plane on the market so far, I actually use it to practice my IMAC routine and does the sequence better than the old plane I used last season. I finally maddened mine!!!!!!! Unbelievable plane. Just perfect. 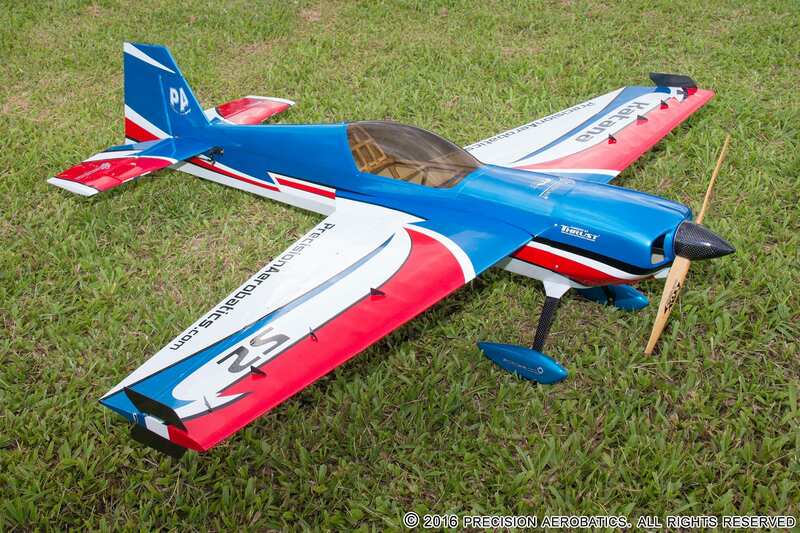 I only got a couple flights in higher wind middle of the afternoon, but I absolutely love this plane! Seriously. It was just awesome. You know, I cannot say enough about this plane. Funny thing is on pop tops and high energy stuff, I need to work on my technique. IT actually does them better than the heavier planes and at the top, because of PA planes’ ability to just stop on a dime, the elevator is about 30% more effective. at the same throws it seems. So Iam having to change my inputs. So cool It flattens out in a milisecond at the top. Unbelievable… I love it! This plane has excellent power to weight ratio and flies soooo good. This model is a beast in every condition!..i like it! 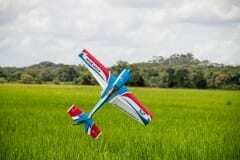 VOX 13×5 wood (on 4S set up) or 15×6 (on 3S set up) – Excellent prop for slower 3D and flying in smaller fields. 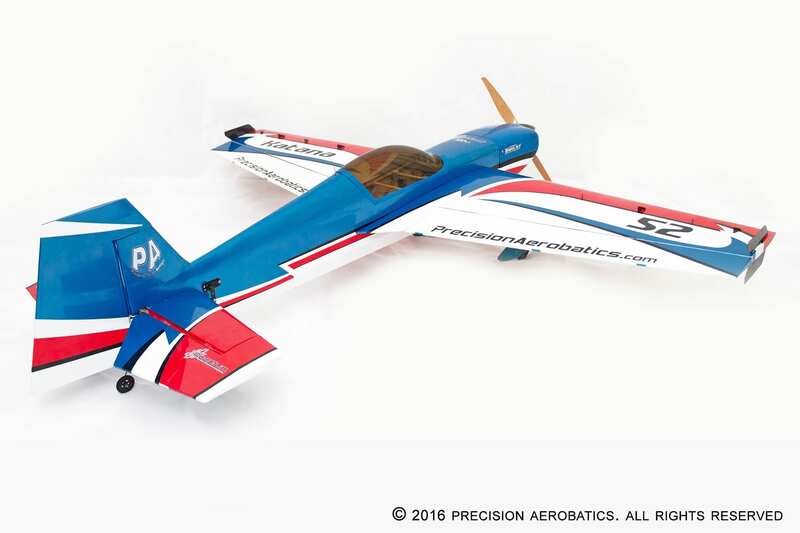 This prop offers an excellent balance of speed and thrust for any type of flying using, gives a feeling of flying a giant scale plane with unlimited thrust. 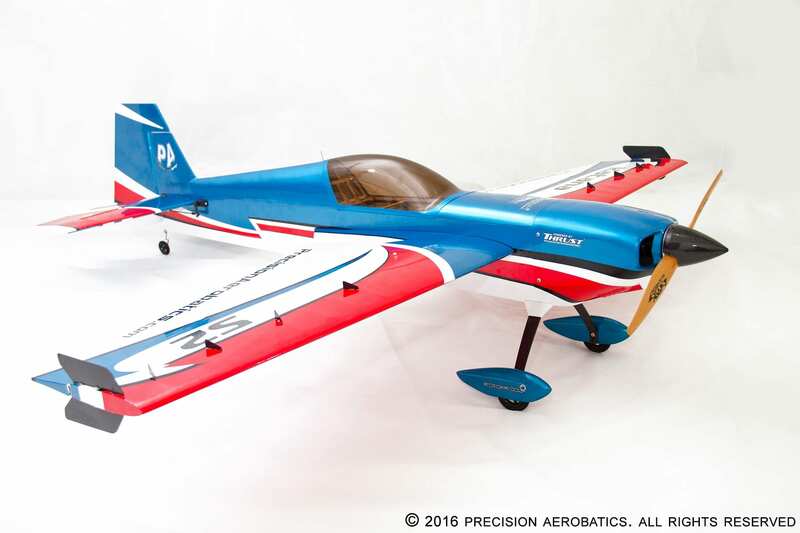 Vox 13×8 wood (on 3s setup) Excellent prop for sport flying and longer flight times, also a good prop to practice precision aerobatics. 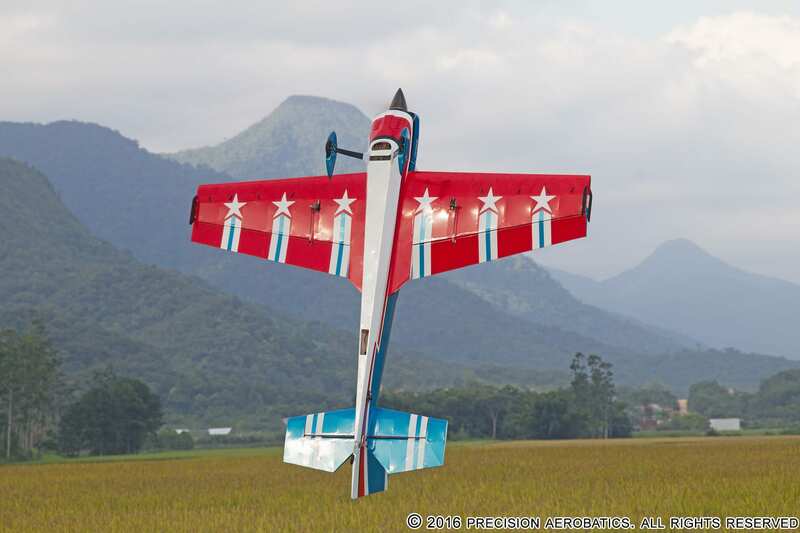 We strongly recommend getting more than one propellers as they transformed the plane and gave a very different feel. See which one suit best your personal style and preference.